Reflections on the prior year and forecasts for the coming year. Ways to improve performance in the coming year, mistakes we learned to avoid, etc. The following is a variation on #2 (still working on the forecasts). Part 1 is all about exploiting and extending the time when your energy, mind, and mood are at their best. If you don’t have that much control over your schedule, then do what you can to move your peak hours to the hours of those tasks. Maximum productivity means organizing your tasks around your best hours. Match up the most demanding of your most important tasks of the day to the hours when you have the most energy. Allocate the second most demanding and important tasks to your next best hours, and so on. Energy, not time, is the key to top performance. Working on time management skills will yield limited results without considering that for humans, unlike machines, all hours are not equally productive. Know if you’re a morning or night person. Few of us have more than 3-5 peak hours a day. If you need more, experiment with nap length and scheduling. Learn how well your body responds to coffee, tea, and other available stimulants can extend those hours, both with and without a nap. Use these with discretion. Many of us find that these are more like taking loans on energy that must be repaid. We also build tolerances to these, which limits their long term benefits if they’re overused. I reserve trading or investing decisions for hours when my mood and energy are good. I might do research, trade diary review and entries, during less productive hours, but final review of decisions to enter positions, and order placement, waits for those hours. Identify the most demanding tasks of your day and do whatever you can to turn hours available for them into your peak hours. For example, part time traders or investors with full time jobs should not be making trading decisions or placing orders when their energy or mood is low. This issue is especially relevant for discretionary short term and day traders, those who need to make decisions while their market is open. Forex traders have more flexibility because these markets are open over around the clock, 5 days a week. Traders or investors with holding periods of many weeks or months have more flexibility because they can place entry and exit orders without markets needing to be open. You know how much sleep you need to function each day. Reducing sleep soon reduces mood, energy, as well as your intellectual and emotional functioning. In other words, won’t seem as smart, creative, pleasant or sensitive to others. Impulse control also suffers – and that’s a real problem for anyone who must make investing decisions during that time. Keep a consistent schedule, even on weekends. Slipping out of that routine makes it harder to regain it. Use an alarm to get ready for bed: Set it an hour before your planned bedtime. If you lack strong day/night cues, add them. Get sunlight during the day. Dim the lights at night. Turn electronics off as bedtime approaches. Keep your bedroom dark and quiet. Even if you think you can sleep with some light and noise, these can still reduce sleep quality. Measurable feedback keeps you focused. Whenever possible, have as many relevant measurable performance gauges as you can. For traders or investors, the obvious ones like ROI, income, percentage of winning trades, etc. over a given period are obvious examples. Diversification by asset type, currency exposure, etc. What if you have no plan, or journal in which you track these, or don’t even recognize these terms? Then stop right now and put whatever time you’re investing into trading or investing towards studying basic risk and money management. I discuss much of this in Chapter 5 of my book. You can view the table of contents for it here, (use the Look Inside feature) to get a no-cost quick overview of the topic. We’re not machines, so find what recharges you and schedule it into your week. Here we cover how to defend against the things that will cut the length and effectiveness of your prime time. Keeping distractions off your computer: Banish non-work related during your work hours unless they’re directly related to your trading or investment research. Even then, try to limit your viewing to scheduled times. Build Willpower: Doing these if far easier said than done. A trading or investing content site can contain all kinds of distracting material that’s irrelevant to your research. Use And Expand Your Best Hours When Focus Is Best: As detailed in #1 above, that’s the best starting point for having a clear head. Minimize Stress: it makes you distracted and stupid: In case life hasn’t already handed you enough experiences proving this, Harvard University professors Eldar Shafir of Princeton and Sendhil Mullainathan tested the IQs of Indian farmers before and after their harvest–times. Before the harvest, as a consequence of being strapped for cash, the farmers were in a general state of anxiety, and their IQ tests were materially lower than after the harvest, when they were more much more liquid and did not have to deal with immediate cash shortages. 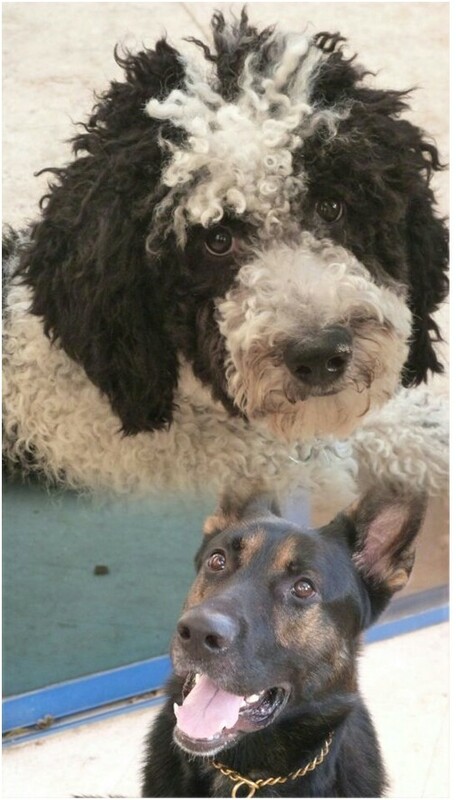 The implication is that their ability to focus–was depleted by their financial worries. (via Eric Barker here). Allow Strategic External Distractions: In other words, take breaks, ideally at specific times, ideally ones that relax you fast but don’t draw you away for long periods. For example, I work at home, so I’ve the option of taking 5 minutes with my two youngest (below) to ease stress. 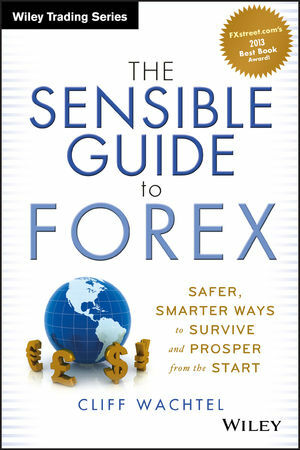 Choose A Trading Or Investing Style To Suit You: In my book, The Sensible Guide To Forex, I discuss the importance of choosing a trading or investing style in the same Chapter 5 that I cover risk and money management RAMM), because the two are so closely related. For example, those who are risk averse will be prone to stress and its dangers to sound decision making if they engage in higher risk trading or investing. Avoid Multitasking: Focusing on one thing at a time improves productivity. Research shows we’re more productive when we hit one task at a time. As with decision fatigue, there’s lots of research supporting this idea. For example this article describes how a mere 5 day program improved attention span and lowered stress levels. Building a weekly routine is one of the best stress reducers. Routine cuts your decision making and gets your body into a routine of work, rest, eating, sleeping, etc. It may sound cliché or downright corny, but here too there’s no shortage of research showing those who see their work as accomplishing bigger things than an income are more motivated, energized, and productive. Each trade offers you a lesson, each winning trade gives you the chance to contribute in multiple ways, etc. See here or here for examples. Want to know more about the psychological side of market success as well as risk and money management (RAMM)? You can get a free overview of that by reviewing Chapter 5 of my book here. Get these aspects of your game down and the profits will take care of themselves. See them applied in Chapter 7, by the way.